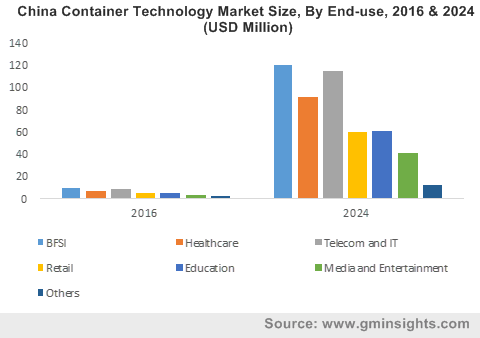 Over the recent years, APAC container technology market has emerged as the most rapidly expanding sub-spheres among the overall smart and sustainable technologies industry verticals, in terms of remuneration. The IT sector in the region has been witnessing an exponential progression which has resulted in the creation of massive volumes of data and the requirement to store it. Furthermore, a number of developing nations in the region, it has been observed, are increasingly endorsing swift adoption of cloud computing technologies by enacting various legislations and undertaking favorable initiatives. 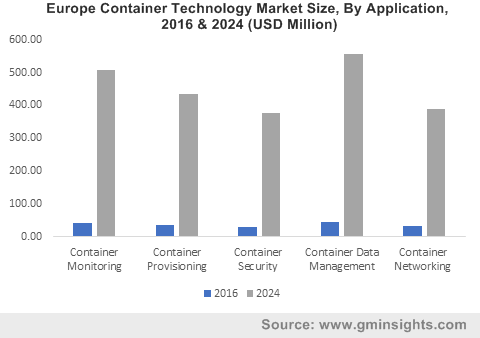 As a consequence, this has compelled large enterprises operating in this region to actively embrace container technology, which eventually has impelled the growth prospects of APAC container technology industry share. As a matter of fact, a quick reading of a recent report by Global Market Insights would reinforce the significance of the APAC container technology market, whose total valuation stood at USD 120 million in 2016 and is now anticipated to witness a rather remarkable commercialization over the estimated time frame. Elaborating further, the enthusiastic participation by the technology sharks to enhance APAC container technology market space can be affirmed by citing the success of Alibaba Cloud. The cloud computing arm of Chinese e-commerce giant Alibaba Group joined the bandwagon of prominent APAC container technology industry players in 2009 and has now established itself as the largest public cloud services provider within China with an estimated market share of 47 percent, as per the figures published by International Data Corporation (IDC). The firm has reportedly embraced advanced container technology and has been said to run a vast number of containers for processing transactions across its e-commerce marketplaces. In addition, the company has recently upgraded its Cloud Native Computing Foundation (CNCF) membership from Gold to Platinum grade in a bid to foster its cloud computing capabilities. Concurrently, it would be prudent to mention that the cloud computing giant now operates 7 data centers within China and 9 others globally, with the firm announcing its plans to open new data centers in India and Indonesia in 2018, which would further expand its presence in the APAC container technology industry space. Apparently, the aforementioned instance demonstrates the growth potential of APAC container technology industry giants operating in China’s container technology industry. Needless to say, China is likely to lead the regional landscape of APAC container technology market over the ensuing seven years, cite experts. Apart from China, APAC container technology market would be driven by other developing economies such as India, Malaysia, and Singapore. Owing to the reputation as foremost investment hubs, major companies along with emerging start-ups in these nations are increasingly leveraging the cost-effectiveness and scalability of cloud platforms to direct their efforts on developing their core capacities. Consequentially, this would invariably boost the APAC container technology industry share in terms of product demand. While enumerating upon the competitive landscape, APAC container technology industry appears to be rather fragmented with a bunch of participants comprising the container technology developers, cloud service vendors, and quite a few software behemoths. Some of the influential names in this business arena are Amazon, IBM, Docker, Cloud Foundry, Mesosphere, Microsoft, Sysdig, Red Hat, Twistlock, Cisco, ClusterHQ, and HP. While exploring the opportunities and tapping into new markets, the APAC container technology industry players seem to have been focusing on strategic mergers and alliances. Citing an instance of the same, IBM has recently teamed up with Docker Inc., to ease seamless modernization of their existing applications that are combined with Docker Enterprise Edition software and IBM Cloud. Apparently, this instance distinctly reflects the influence of container technology on the overall IT space, which is rather profound. 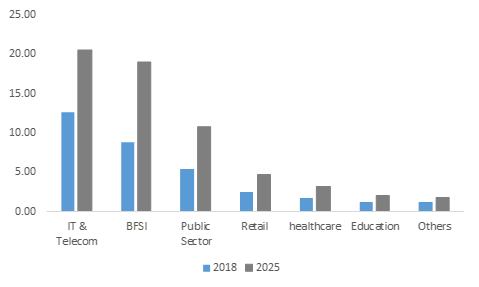 Driven by rising inclination toward adopting cloud computing solutions across the region, the APAC container technology market is forecast to exceed a revenue collection of USD 1.5 billion by 2024, as per estimates. This entry was posted in Sustainable & Smart Technologies and tagged APAC Container Technology Market, APAC Container Technology Market Analysis, APAC Container Technology Market Forecast, APAC Container Technology Market Growth, APAC Container Technology Market Research, APAC Container Technology Market Trends, Asia Pacific Container Technology Market Report, Asia Pacific Container Technology Market Size, Cloud, Container Data Management, Container Monitoring, Container Networking, Container Provisioning, Container Security, Container Technology Market, Containerd, Docker, FreeBSD Jails, LXC & LXD, On-Premise, Rkt. Having been typecast as one of jeopardous business spheres for potential investments until a few years back, Americas container technology market has today evolved as a full-fledged niche vertical, the growth of which knows no visible boundaries ahead. How the technology has successfully penetrated the most essentially pivotal end-use domains within an oblivious matter of time has been a subject matter of intense pursuit and debate for tech sharks since a while now. Thriving in an extensively tech-driven era, Americas container technology industry has received substantial mass momentum, notwithstanding the tumultuous competition from similar technologies. The principal reason for this widespread popularity is the convenience that containers offer for various application deliveries. In an era where data is passkey to major operations, convenient, safe, and reliable data storage, access, security, and portability hold the numero uno position as far as end-user demands are concerned, especially across the Americas, that house some of the most advanced nations across the globe. 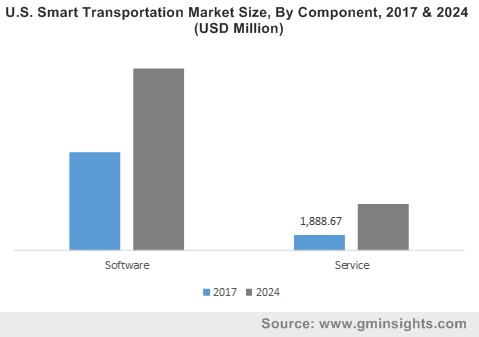 This has consequently necessitated the launch of rather innovative technologies such as containers across this highly tech-obsessed topography, which has substantially propelled Americas container technology market share. Making headway toward discovering the cryptic reason for the popularity of this technology, it would be imperative to commence the justification by enumerating the know-how of this mechanism. Essentially, this high-grade technology works by means of compartmentalizing the program libraries, configuration files, dependencies, and the application in one highly convenient and portable medium – a concrete fact that has been the core driving force of Americas container technology market growth. This technique conveniently reduces the files sizes – a rather pivotal factor in the IT cosmos that contributes to excellent efficacy in data operations and inherently, is responsible for the growth of Americas container technology industry. In fact, most containers measure merely a few megabytes, which is in sharp contrast to their arch antagonist, the virtual machines, that often scale up to gigabytes. As opposed to VMs, that require an operating system, containers are much more efficient, lightweight, and portable. On these grounds, they have emerged as the obvious choice for organizations that can now indomitably conduct a plethora of tasks such as freeing up more resources, lower capital expenses and overhead costs, and work on fitting many more applications on servers. These changing dynamics of organizational IT models are certain to fuel Americas container technology industry size. In tech-driven regions such as the United States, Brazil, Canada, and Colombia, subject to the massive development of the IT sector, the vast deployment of the cloud and other technologies in myriad end-use domains, and the intense number of R&D activities of novel IT solutions, the modus operandi of containers hold vastly significance, owing to which Americas container technology market outlook would continue to witness lucrative transformations in the ensuing years. One of the most vulnerable business spaces of today’s tech-oriented era, the banking arena is likely to heavily stimulate Americas container technology industry size. The intensely rising demand for virtualization in order to host heavily resourced functionalities on the cloud will prompt banking organizations to harness the container technology as much as possible, given that they are one of the many key proprietors of huge data volumes and storage. Recently, Capital One, a reputed American bank, unveiled the beta version of Critical Stack, a Kubernetes-compatible, container orchestration platform, that has been designed to help BFSI enterprises orchestrate app deployment and configuration at scale in the cloud and effectively automate compliance & security controls. Even the Bank of America has been under intense pressure to adopt containers – thus validating the vast expanse of Americas container technology industry from banking. The commercialization graph of Americas container technology market, as is projected by leading analysts, would continue to witness an exponential curve in the forthcoming years, driven by the massive transformation that containers have brought about in the traditional IT framework and the extensive deployment of the technology by various organizations in order to accomplish flexibility and simplicity in the entire IT infrastructure. 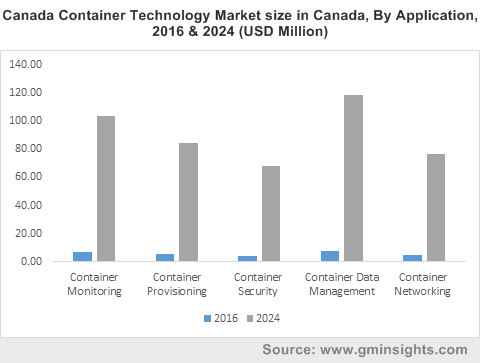 By and large, the increasing replacement of VMs by containers and the efforts undertaken by the federal and state governments to further commercialize the utilization of containers in the mainstream IT devices business space, would have profound impact on the revenue graph of Americas container technology market. This entry was posted in Sustainable & Smart Technologies and tagged Americas Container Technology Market, Americas Container Technology Market Analysis, Americas Container Technology Market Forecast, Americas Container Technology Market Growth, Americas Container Technology Market Report, Americas Container Technology Market Research, Americas Container Technology Market Size, Americas Container Technology Market Trends, Cloud, Container Data Management, Container Monitoring, Container Networking, Container Provisioning, Container Security, Container Technology Market, Containerd, Docker, FreeBSD Jails, LXC & LXD, On-Premise, Rkt. Endorsed by a barrage of tech benefactors, EMEA container technology market stands to gain substantial remuneration from myriad end-use domains in the coming years. As container technology has emerged to be a preferred alternative to virtual machines among the regional infrastructure providers, the growth prospect of EMEA container technology industry is forecast to be exponential over the coming years. 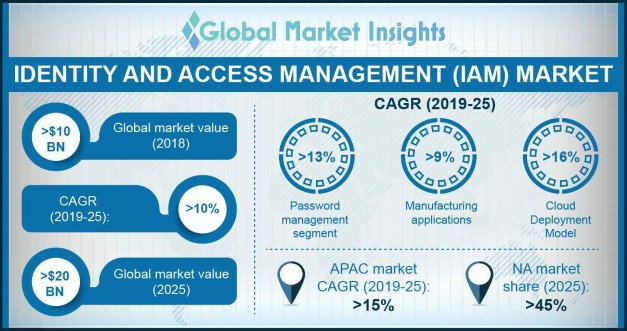 A recent report put forth by Global Market Insights, Inc., claims overall market to cross a valuation of USD 2.4 billion by 2024. Substantially being driven by a plethora of factors such as expanding IT sector, subsequent increase in data volume and their storage demand, and increasing penetration of cloud computing technology, the regional industry is disrupting the traditional operation model across myriad end-user sectors. Perpetually acclaimed companies harnessing smart technologies are readily investing in EMEA container technology market, given the fact that Europe and MEA are considered to be two of the potential tech hubs. For instance, as per a latest news snippet, BISON, one of the most acclaimed container technology giants, has chosen Europe to showcase its new portable container lift system. Reportedly, this absolutely innovative state-of-the-art lifting system would be unveiled at Intermodal Europe spanning between 28th to 30th November 2017. Considering the fact that traditional container handling equipment are comparatively much bigger, heavier, and more expensive, BISON’s portable compact system would prove to be a viable economic alternative for the regional logistic operators, contractors, and equip importers for lifting heavy containers in any location, cite experts. In fact, as per analysts – BISON’s C-Lift system that got launched back in August will bring a disruptive trend in the entire EMEA container technology industry. The appreciable popularity of container technology since the last few years can be majorly attributed to the increasing demand for improving scalability, developer efficiency, resource utilization, and supporting microservice architectures. Since for a decade now, this ground-breaking technology has been increasingly utilized as a software development approach in which pieces of codes are packaged in a standardized way so that they can be integrated seamlessly in any operating system. As a matter of fact, the extensive utilization of cloud-based and on-premise deployment models is leaving an unparalleled impact on the overall EMEA container technology industry share. In this regard, it has been observed that Europe based organizations are relying more on on-premise deployment model, while some of the startups in EMEA container technology market are also looking forward to switching to cloud-based models, subject to its scalability and cost-effectiveness. Speaking of the commercialization potential of EMEA container technology industry, it is imperative to mention that docker technology is taking the overall business space by storm, unveiling its unique ability to create self-sufficient lightweight containers from any kind of applications. With the increasing focus on containerizing enterprise applications by emerging startups in Europe and MEA, Docker technology is claimed to be one of the remunerative avenues for the entire EMEA container technology market share, with a procurement of 75% and 70% in Europe and MEA respectively. 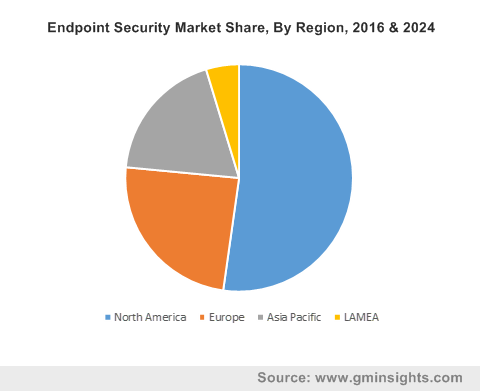 Rkt based container technology market is also forecast to gain appreciable momentum with a projected CAGR of almost 38% in Europe market, subject to its enhanced ability to ensure container security. EMEA container technology industry has achieved quite some reputation over the recent years, primarily on account of extensive deployment of this technology by the regional infrastructure and technology providers. In this regard, experts claim that the competitive scenario in the business space is likely to get intense in the years ahead with renowned giants’ incessant effort to come up with viable alternatives to Docker containers, which presently encompass the majority of EMEA container technology marketplace. With more number of pivotal giants such as Microsoft, Mesosphere, AWS, ClusterHQ, IBM, and Joyent focusing toward deploying cloud-based data center services in their enterprise applications, the profitability quotient of EMEA container technology market is bound to escalate commendably in the ensuing years. This entry was posted in Sustainable & Smart Technologies and tagged Cloud, Container Data Management, Container Monitoring, Container Networking, Container Provisioning, Container Security, Container Technology Market, Containerd, Docker, EMEA Container Technology Market, EMEA Container Technology Market Analysis, EMEA Container Technology Market Forecast, EMEA Container Technology Market Growth, EMEA Container Technology Market Report, EMEA Container Technology Market Research, EMEA Container Technology Market Size, EMEA Container Technology Market Trends, FreeBSD Jails, LXC & LXD, On-Premise, Rkt.